this one has a "belt" which allows weight distrubution on the hips. It does look pretty bomb proof. 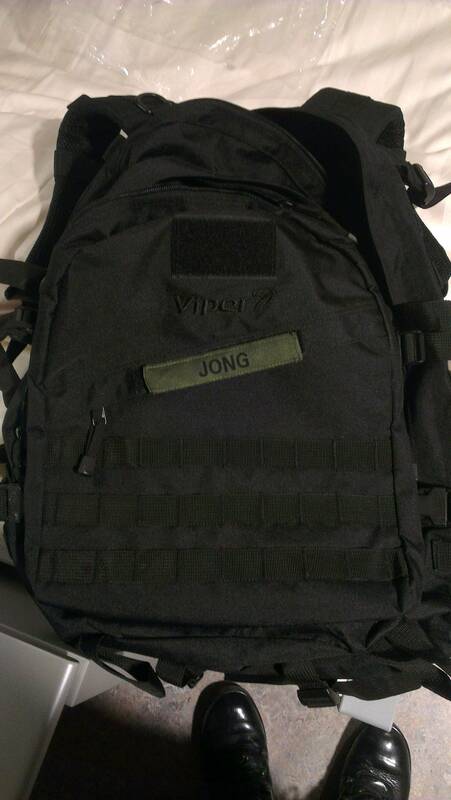 My bug out bag comes with fasteners just below the lower end of the shoulder straps. You can buy waist belts for it but I didn't see the point, I wouldn't have it carrying much more than 20-30 lbs so I don't think I would need it. You seem to know a lot about this stuff fox, have you got a bug out bag or thought about it? I spend a lot of time in the field being on internship, I also "own" a lot of militairy stuff because of this. This is the pack I bought years ago when I was going to go backpacking round the world. Doesn't look as cool as your bags but I could fit all my stuff inside. Also print off a walking speed and distance chart (pm me your email and I will send you one I have made). Its a table of distance versus walking speed. And the time taken is displayed in the table. This is very useful to work out how long it will take you to get somewhere at varying speeds (due to heavy pack or terrain differences). You can also use it to navigate in fog or forest using dead reckoning (that stuff I never shut up about in arma) so it is very handy to have. Also have a waterproof notebook and some pencils handy. Got me one of these bad boys in black. Anyone else ever used or owned a riggers belt? Some military groups hand them out as standard issue, especially in the airforce. Sounds like a handy piece of kit, I'll mostly use mine when kayaking and hiking... or rappelling out of exploding hotels. Never seen those Ed, are they sturdy? Damn fox that is quite the christmas! 5.11 stuff is awesome, the gloves and watch look badass. How much did all of that cost? Also that is an awesome paint job, is it metal? What did you use to paint it with? I have heard great things about the blackhawk riggers belt, people have used it for emergency rappeling and even taking them off to tow trucks. Also handy if you are outdoors as it gives you a solid attachment point if you are hurt or need to pull someone. I have heard riggers belts are standard issue in some airforces about the world. They break loose at about 7000 lb for force. Basically an emergency harness and attachment point to stop you falling out of helicopters lol. 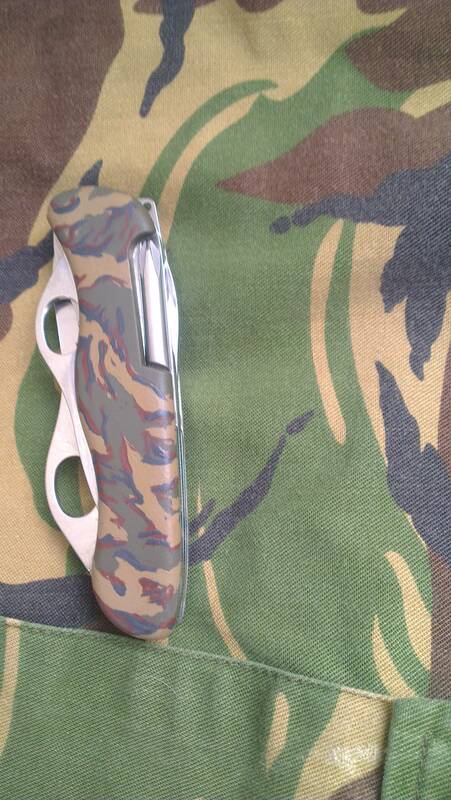 About the knife, the parts are plastic just used acrylics paint and put a protective layer over it. just created someting that looked like tigerstripe to please plores haha! To be completly honest, I would not want to pull someone a long way on their belt. What I can fully recommend though (army/school practice proven) buy 1/3 belts extra and you can use it when someone has broken a leg to splint the leg. They look a bit like a tourniquet to me, I have not seen them before. They look good to me! Thats an awesome collection anyway. I'm looking for some new gloves, you will have to let me know how they are. How can you use a belt to splint someones leg? Is this with a piece of wood too or using the belt alone? Either use a clean stick or use his other leg, then place 2 belts above the knee and 2 below it. leave some space between the 2 belts. 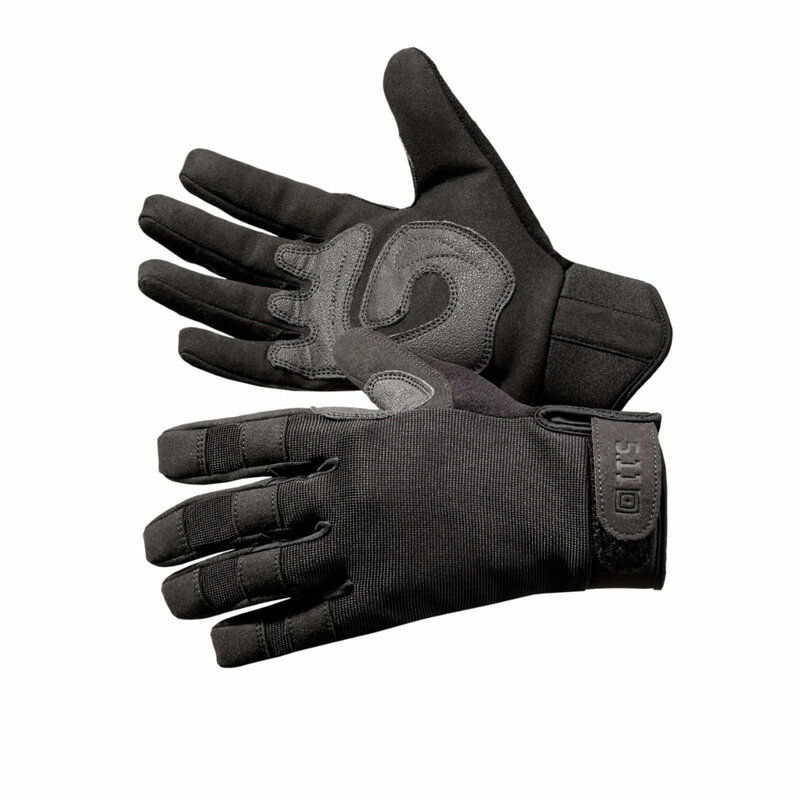 About the gloves, they are not very warm but they keep out some wind and they still allow you to do everything (xcept for touchscreen). 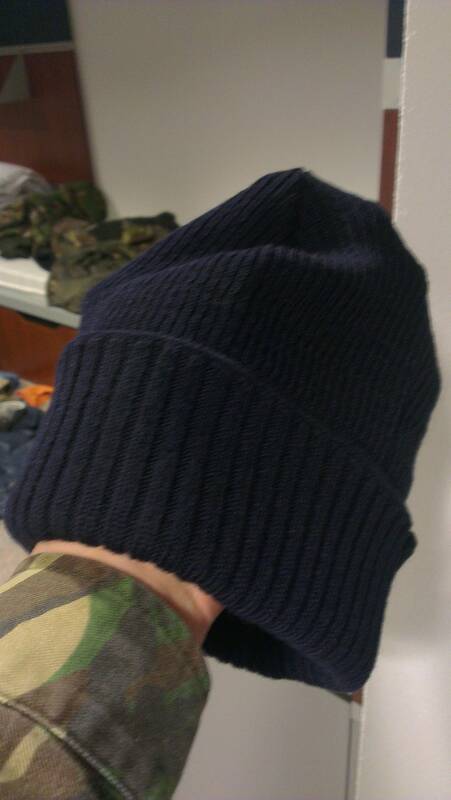 I prefer them over the leather gloves I had before, they werent very warm either and would easily get soaked. not to metion as soon as you did anything they would come off. For everday wear and the price Yes, for Cold weather No. They look pretty durable, are they thick? I have had mountain biking gloves that look similar but they end up being way too thin and never last. Alrighty gents. How are you getting on with the Magnums? I'm currently on the hunt for a decent set of boots, but after a disappointing experience with Magnums in the past I've always stayed clear. Still i like to keep an open mind in that regard. 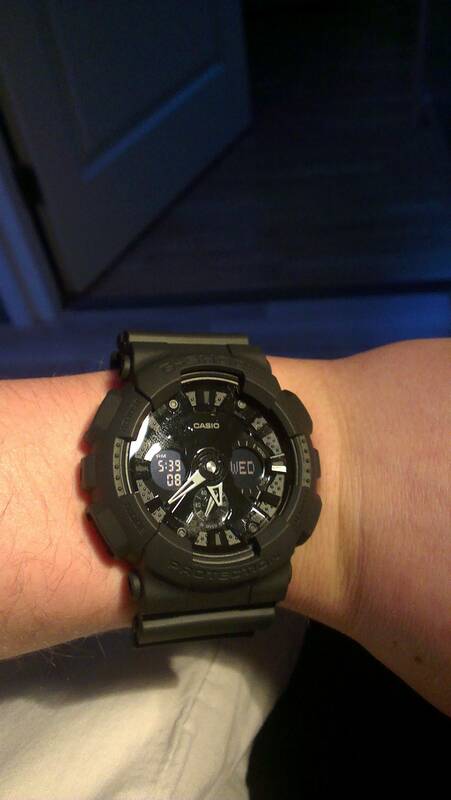 G-Shock id certainly say are durable, they're very popular amongst the military for that reason alone. Socks, along with boots, are another topic for keen debate. 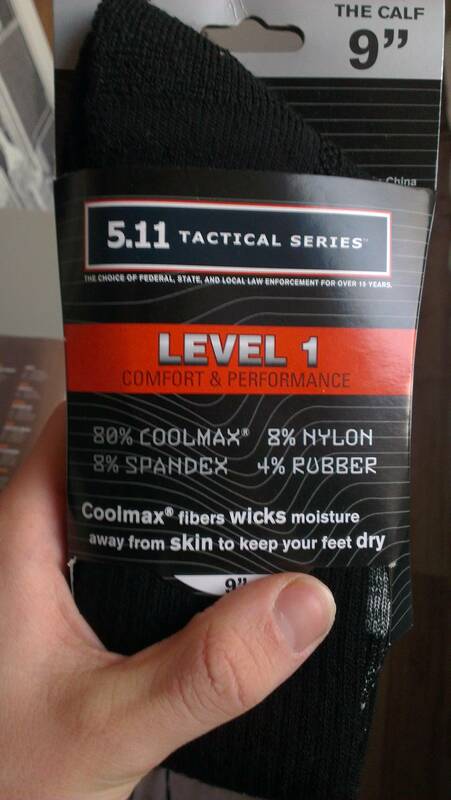 I'm always interested to hear about a decent pair of socks (as boring as that sounds) so just wondering how those 5.11 are holding up to tabbing and such. easy to clean(xcept for a few spots), and waterproof. Had a few hotspots, but no blisters what so ever. I Love them over my normal army boots, which ive worn for 2.5 years. besides they look badass! about the 5.11 socks I prefer them over my current wool socks, altough they are a bit colder(the magnum has extra padding) they feel better and have a bit more padding on the heel toes etc. Magnums are something I'd avoid too. Heard a few bad things about them from cadets, many moons ago! There quite common here, well praised aswell. mostly likely because of certified safety wear. I have also heard good things about Lowa's which are more common among the Marines. I have seen many complain about the quality of the boot, while they never give it any love. The problem is with cadets, you are not certain if they are well kept. Don't say you know because I know every trick in the box to give a 10 minute polish. To properly clean a boot you'll need at least a few hours. Yep, which is why I couldn't do it! The NCOs told us to not buy Magnum due to build quality/durability. ^will keep this brand in mind when I need to replace these boots there are some good looking ones. What about knife brands? 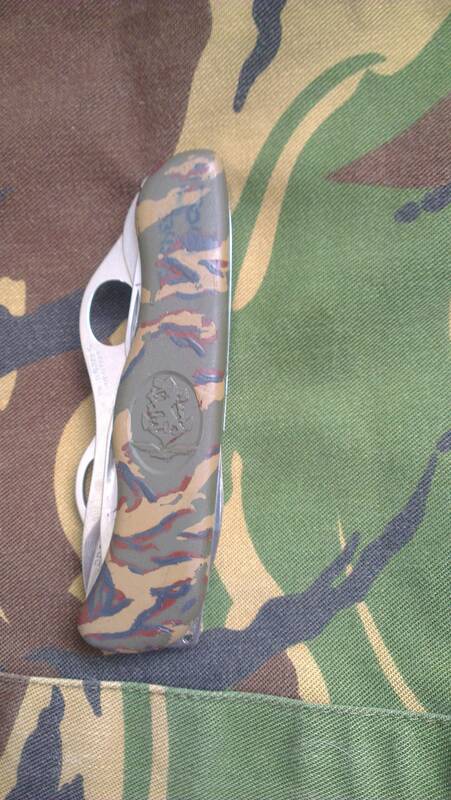 I have become a bit of a knife nut, what kit do some of you have that own them?